Kazue Mizushima, composer, formed Studio Eve in 1992 with Midori Yaegashi and started to create STRINGRAPHY works. She created indoor sound installations that utilize a multitude of “string telephones” (silk threads attached to paper cups). These installations transform the entire performance space into an immense acoustic “harp” whose strings of criss-crossing thread create a geometric web where both performer and audience jointly become part of the resonating chamber. Studio Eve has focused on works for Stringraphy Ensemble since 1996. 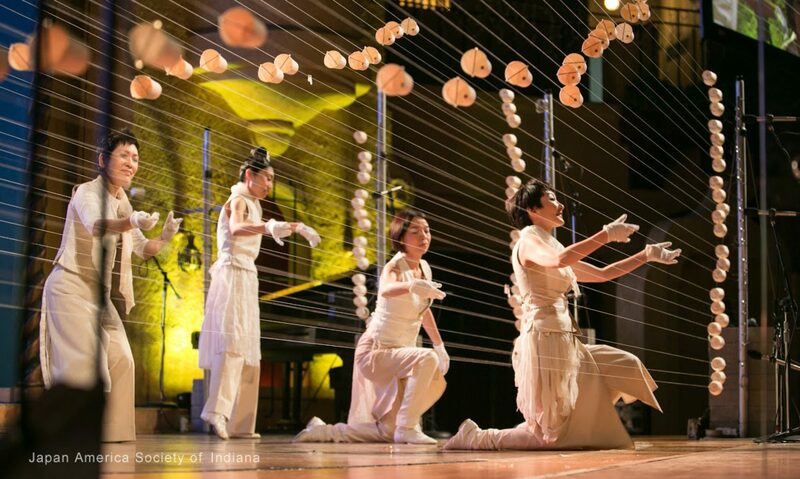 Three to five performers play a wide variety of musical repertoire including original pieces, Gagaku (Japanese ancient music), western classic and popular music as well as contemporary music.